The study of medical and engineering is always being the best option for the people who are going to select their career. 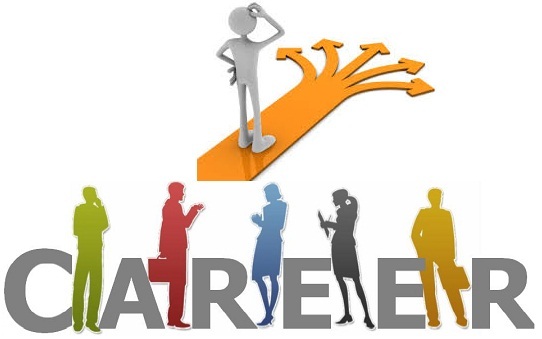 One should choose the career according to the aptitude of the person. People are marked at the best way of this articles with the best information. this article will help you out to choose the better career. Both of the field provide the people with best career opportunity. Both of the field open the best career for themselves. The people must search and acquire the field who get the best in them. The people can get all the information about the fields here. If your real interest lies in the field you will have a successful career. Both medicine and engineering give equally rewarding careers with high earnings and great respect. The MBBS and BS in Engineering marks the confusion to a lot of students. The fields open the best opportunities for the students in the better way. Many times we take this decision based on what our parents say or the our friends are taking but it must be our choice with any influence. The both the require hard work and dedication. If you passion is to reduce or relieve pain of people or help them live a happy life. If you are a good listener and are able to understand what someone is feeling and experiencing, physically and emotionally. If you should be a good communicator in order make the patients understand clearly what their ailments are. If you are very thorough and diligent in your work and are absolutely not careless. If you are emotionally stable so that pain and suffering of other people does not trouble you. Why would you choose to become a medical doctor? There is only one reason anyone should ever have for studying medicine, and that is that they want to be a doctor. Going into medicine never and shouldn’t be about making lists of pros and cons, weighing one side against the other, and seeing how the scale tips. You’ll earn alright, in fact, probably it will make you rich. But the fun of going through it, is priceless. Medicine is intellectually exciting and quite fascinating. Plus, there is a low risk of unemployment in medicine. Doctors get the best training. Medical school teach you how to handle your own problem. Being a doctor, you know what’s actually going on with a sick member of your family. Being a doctor yourself saves you from being duped. Medicine is a calling. It’s never just a job. You can never “take off your doctor hat”. You don’t see yourself doing anything else. You love medicine, the science, the patient interaction, care, the challenges. The emotional and psychological rewards of being able to help patients get better. You don’t want to go into medicine to just make money. Engineering: 4 years of engineering can get you a yearly package of 4 to 5 lacs; and if you manage to get an MBA after that, a package of 12 to 45 lacs can be offered to you. Careers of engineers have become much more certain after the advent Information Technology. Doctor: 5 years of MBBS is only the beginning. After this you may get a job and start your practice, but only an MBBS degree is not of much value in the present market. Hence, you need to do a specialization to earn 5 to 6 lacs a year. If your family is engaged in the medical field, then it makes much more sense to join the profession, because, your career will naturally get a boost as you will automatically get clients passed on to you. Doctors make big money if they have their own clinics and hospitals. If you have enough funds to build a hospital, you should not think much before joining medical; you are bound to make huge money. However, if that is not the case, then you need to have lots of patience and work hard at getting more and more degrees. Surviving the student life of medical science is much tougher than that of engineering. The former practically demands you to forget your personal life and study, study and study a little more. Whereas, for aspiring engineers getting into a good college is the toughest part, after that the journey is relatively smoother. In this respect, doctors are clear winners. Doctors are saviours of lives; they are often given the status of semi-god by patients and the society in general. On the other hand, engineering is just another profession. Doctors have to struggle a lot more to establish themselves than engineers. Again, thanks to the advent of IT, B.Tech degree holders are much in demand. And if you manage to get an MBA done after B.Tech, you do not have to look back. However, a doctor needs time to flourish. Quick money is something that a doctor cannot have. The work environment of doctors is much flexible as compared to engineers. This is because doctors can work at hospitals, which have state-of-the-art facilities as well as in General Hospitals. Besides, doctors can also practice in their private clinics. Engineers, on the other hand, have to work in strict corporate environments and even at construction sites. More diverse opportunities, like engineering graduates works in IT, Finance, Management and many other domains. An engineering-based education allows you exposure to various technical subjects and skill sets. You will be able to develop skills that are transferable to most industries such as problem solving, decision making, innovation, project management, team working and communication. Engineering is a creative profession. We are in a time of rapid social and technological changes, the need for engineers to think creatively is greater now than ever before. Engineering is a lucrative career. Record high packages to IITians is one example. NITians and IIITians also receive handsome packages. Students need to clear JEE to enter into these prestigious institutes. If you like to question, explore, invent, discover, and create, then engineering could be the ideal profession for you. Many a times we don’t choose a profession, the profession choose us. Parents, siblings or cousins recommend you to take science stream. You have more interest in Maths than Biology, hence start preparing for IIT JEE and other engineering entrance exams. In any case, you can be a good engineer (a problem solver), whether the decision is your’s or someone else’s. When you choose engineering (any branch), try to excel in it. The opportunities are endless if you focus on learning and acquiring skills. Now, let’s talk about the profession which is considered as most noble. • If you are curious and have a strong analytical mind thinking of ways to do things in a better way. •If you love Mathematics, you have to because a great engineer can solve complex math problems easily. • If you are creative and come up with new ways of doing same old things. •If you have great problem solving skills and also fast at it. • If you are a good team mate and are comfortable working in teams.